Calling all! Can't sleep? Won't sleep? We're here to help! 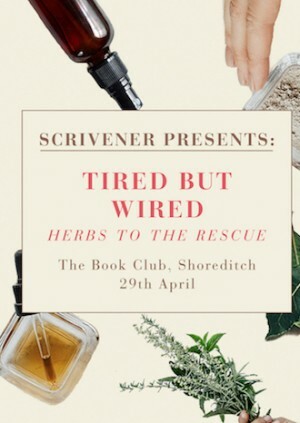 Join us for an event helping students to chill out with a little help from some herbal goodness. The godsend that is the Scrivener writing tool - an online ring-binder, scrapbook, corkboard and text editor all rolled into one - is programming events this spring helping students keep everything together during exam and dissertation time. If you can't sleep or won't sleep - this is the workshop for you! 6.15pm: Join Sarah and Sophie, reformed insomniacs and now founders of Done Counting Sheep. Sophie is a Medical Herbalist with over 15 years’ experience and getting people to sleep is a particular specialism. They'll be talking all things adaptogenic herbs and how they normalise our stress response and help us adapt to times of increased stress. 6.45 We are thrilled to be joined by the amazing girls at Hackney Herbal who will be taking guests through a sleep spray workshop. Learn how to harness the relaxing effects of herbs by making your own sleep spray. You'll be guided through the process of blending your choice of essential oils to make a unique scent to take home, keeping your chill vibes with you all night long.